Eclectic. 1-story, 3-bay-wide, gable-roofed brick commercial building on a raised stone platform. Building facade has been modified and has an entrance on the south. Building has been remodeled heavily for use as an office. Windows and doors have been changed and stucco added to the facade. One of the oldest buildings on Rivermont, this store has served a number of functions. It has housed a drugstore, grocery, and bakery, as well as a tailor shop. 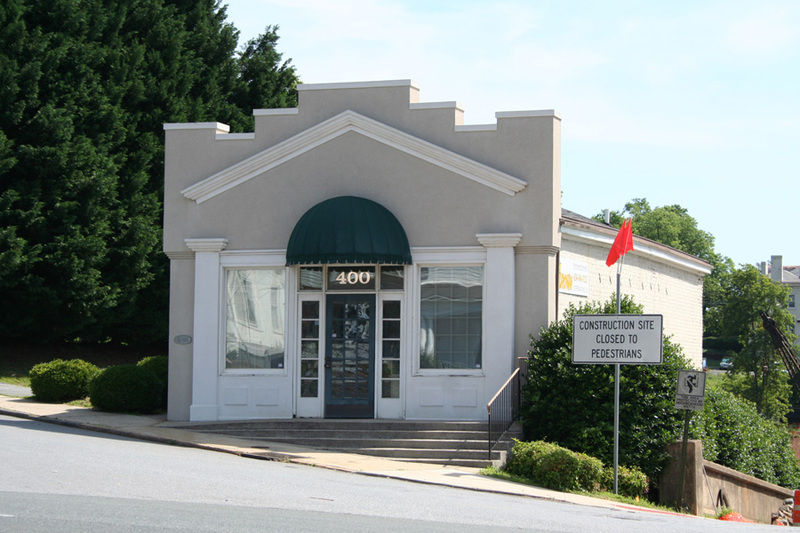 Building is presently used as the office.of Brown Exterminating Company.